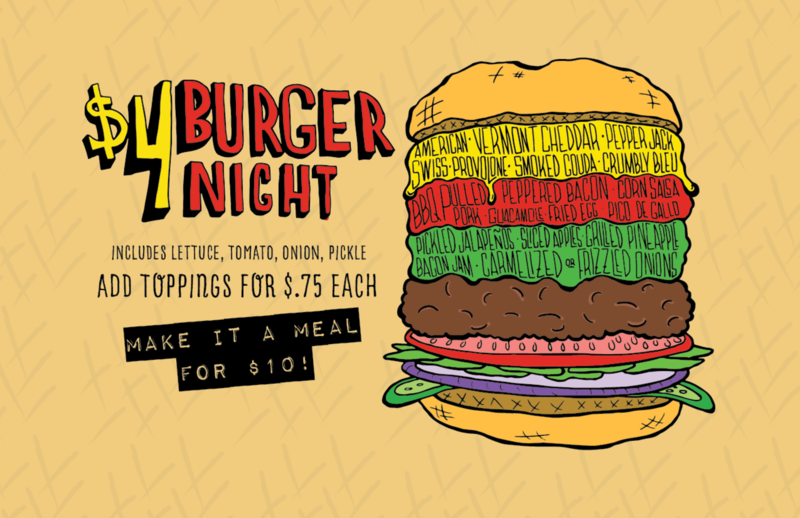 Join us every Tuesday from 5pm-Close for $4 Burger Night! 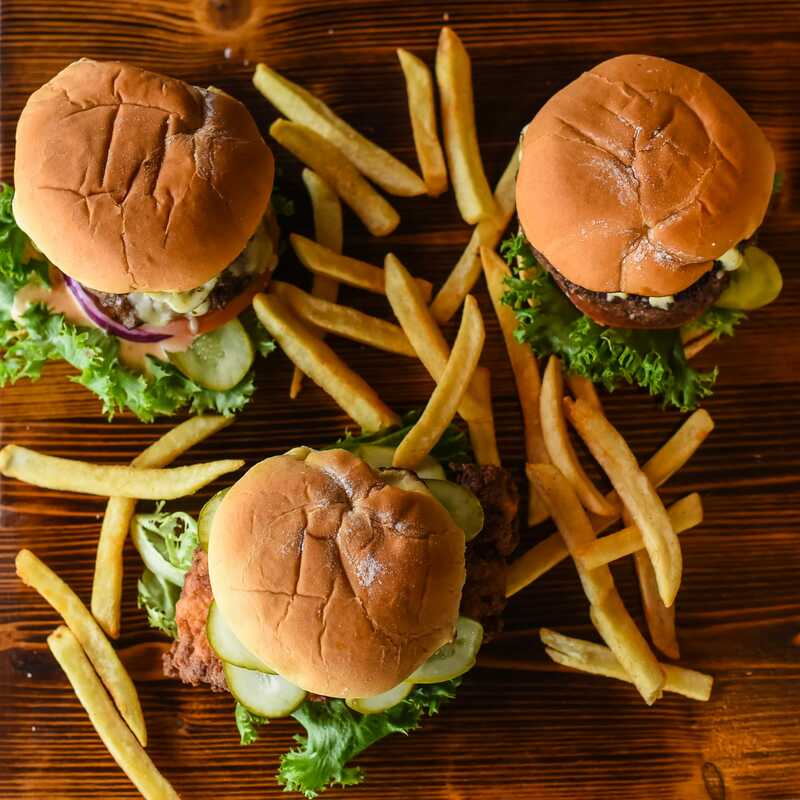 Get our huge, classic burger with lettuce, tomato, pickles and onion for just $4, or add additional toppings for just $.75 each. 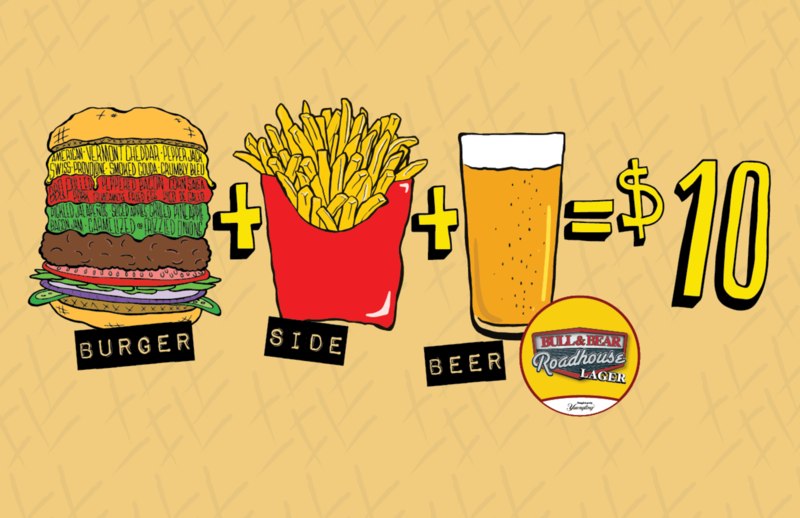 Make it a meal with a side and a Roadhouse Lager for $10!